Thailand has become one of the most popular tourist destinations in the world. 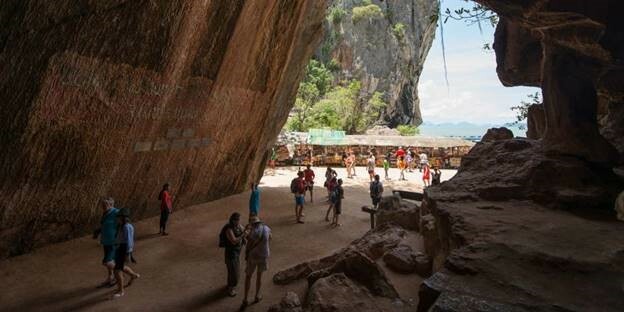 More recently, there’s been an increase of millennial backpackers flocking to this Southeast Asian hotspot, and for good reason. Not only is the country known for its extreme hospitality amongst locals, hence its nickname “The Land of Smiles,” but it’s also known for its affordability in travel costs and prestigious beauty, especially in the South where the many Thai islands are so picturesque you’d think it was straight out of a magazine. If you’ve done the whole backpacking and hostel thing already or are simply not interested in that option, there’s a more unique opportunity to travel and see all the beauty Thailand has to offer. 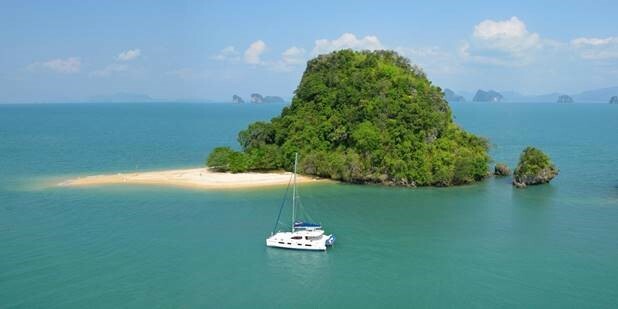 The Moorings, the world’s premier yacht charter company, have put together their list of top three reasons a charter vacation in Thailand is the perfect way to island hop and witness the pristine white sand beaches for yourself. Thailand welcomes millions of tourists each year. With such a high number, you can imagine the crowds and lineups for just about every activity, attraction, and sight you’d like to see. While onboard a Moorings yacht, you’ll never have to wait in line to catch the next ferry to visit another island. You can sail to your preferred island on your own time, avoiding the notion of being on someone else’s schedule. This means you can anchor at an island at a time convenient for you, avoiding peak times, and enjoy the true beauty of Thailand without too many distractions. Better yet, you might even come across an uninhabited island and have it all to yourself! 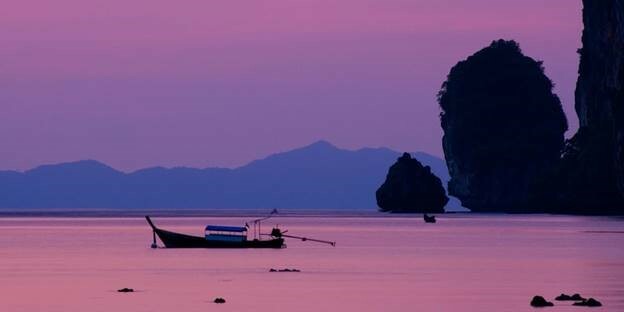 Did you know Thailand is home to over 300 islands? Choosing which to hop to next can be daunting for most, which is why you don’t have to. 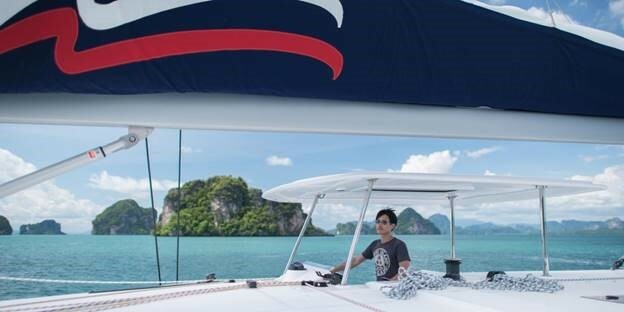 While yachting with The Moorings, leave it to the local knowledge of your captain to whisk you away to the most luxurious and tropical spots Thailand has to offer. Popular islands such as Phuket, Koh Phi Phi, Krabi, and Koh Hong are some of the many hot spots awaiting you and your loved ones for a once in a lifetime experience. With piece of mind on where to go next, you’ll be able to enjoy more Thai culture, entertainment, and yummy local food! Thailand offers adrenaline seekers some of the best diving and snorkeling in the world. With the Gulf of Thailand on the east and the Andaman Sea on the west, water activities such as these are popular and plentiful. Whether you’re a beginner or a pro, there’s something for everyone. Scuba diving opportunities include fringing reefs, deep drop-offs, wrecks, walls, caverns, tunnels, pinnacles and open ocean seamounts. Dive sites are a rainbow of colours and swarming with marine life. You can expect to see giant jellyfish, manta rays, sea turtles, whale sharks, and an array of fish species and crustaceans. Since many of the best spots are reachable only by boat you can enjoy easy access whenever you like. Though travelling across the globe to visit Thailand may seem daunting, the stunning beauty of the country is more than worth it. While on board your full-service crewed yacht, you’ll not only have the convenience of beating the crowds, seeing and doing more, and docking in the deep blue sea, you’ll also be pampered 24/7 with your own gourmet chef cooking up the freshest Thai meals. So gather your loved ones and get ready for a 5-star adventure!